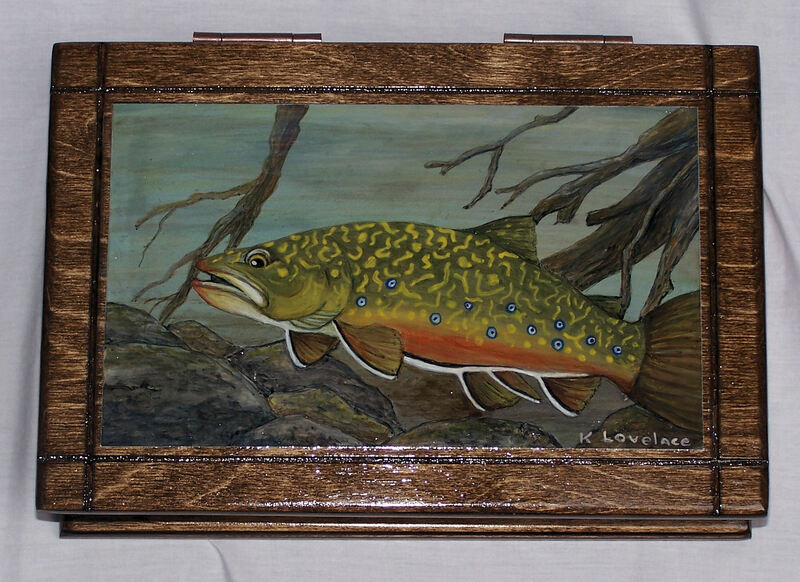 Hand made birch wood box with an original painting of a Brook Trout. Box is stained a medium walnut color and is lined in blue felt. Dimensions of box are 11″ x 7″ by 3″ deep. 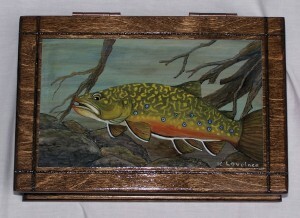 Click here to return to the Brook Trout Gallery. This entry was posted in Trout Boxes. Bookmark the permalink.